“Maggie photographed our wedding and engagement photos and she did a phenomenal job on both! During our engagement shoot, even though we had just met, it felt like a long time friend was taking our pictures. She made us feel so comfortable and at peace! Avery and I wanted every part of our wedding to reflect Christ; Maggie did a wonderful job of capturing that… literally every picture we got is beautiful and I have gotten so many compliments on them! “I’m not even sure where to start with Maggie. Aside from her incredible photography skills she is an instant friend that anyone would love to have. Because of that she made us feel so comfortable on our wedding day. She works quickly and goes above and beyond in every way possible. She was so encouraging on the morning of our wedding; she even stepped in and did the hair of one of my bridesmaids when she needed help. She researched locations for the perfect bride and groom pictures and she outdid herself every step of the way. From directing us through the craziness of our day to understanding just what we wanted, we could not have asked for more. She was instrumental in making our day the beautiful day that it was. We will cherish the absolutely stunning pictures she gave us as well as the memories we made with her that day. We will continue to hire her because her work is unmatched and her character even more so. "There are not enough words to describe how thankful I am for Maggie and her amazing gift in photography. She was nothing but a joy to work with through the entire process and if you need evidence of her incredible talent, just take a quick look at any of her photos. The joy that she brought to our engagement session and wedding are something that I treasure. She made the experience fun and easy, even though neither my husband or I like being in front of a camera. She catches the most natural and beautiful moments and I could not be more grateful for all of the incredible pictures she has given us. Not only is Maggie an amazing photographer, she is an incredible person who brings laughter and joy to every situation. We are very grateful that Maggie was our photographer and I know for a fact you will not be disappointed if you choose to use her as yours." “Maggie has become much more than a photographer to Will and I over the past few years. In the winter of 2016, she asked if she could snap some photos of us somewhere outdoors. Of course we said yes, but a huge snowstorm hit that weekend and turned into the coldest, most fun and dreamy photo shoot ever! Maggie became a friend that day. She made us feel comfortable in front of the camera and look like we were having the most fun of our lives in 14 degree weather! “Maggie photographed our engagement and wedding day and let me tell you, she is so gifted! She made the process easy and smooth, but most importantly FUN!! Maggie did not only capture our wedding day, but she celebrated with us and stepped in to help anywhere she saw a need. Maggie is always up for an adventure. 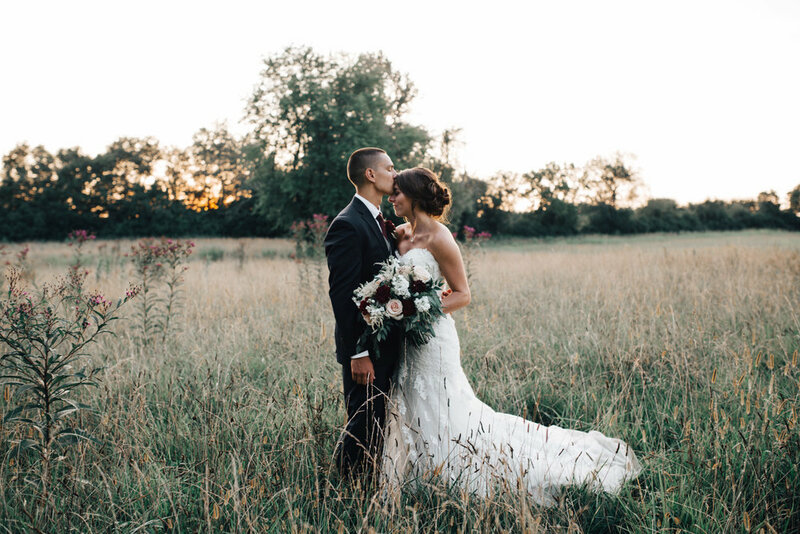 One of our favorite memories from our wedding is trekking through a field with grass up to our knees to take sunset pictures. She never once complained; instead, we laughed the whole time! She has the incredible ability to make you feel confident and comfortable in front of the camera. “I can start by saying Maggie is a rockstar when it comes to being behind a camera; however, it doesn’t end there. Apart from her flawless talent, you gain a sweet friend. I have been blessed to know Maggie for quite a while now and I can honestly say that there is nothing you won’t like about her. 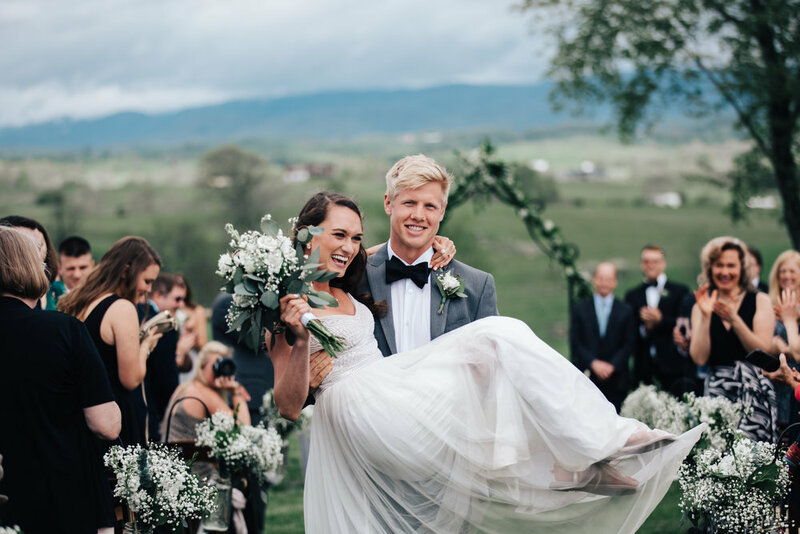 Her enthusiasm and positivity are so contagious and this is crucial when you are looking for a photographer to capture some of the happiest moments in your life. She is a photographer you can easily trust and she always delivers! "Although I have worked alongside many talented artists, I can confidently state that Maggie Smith’s photography is by far my favorite. "I joke regularly that Maggie Smith is the only photographer that I ever trust. She has documented and provided amazing shots from the growth of my relationship with my husband (dating, proposal, engagement, and wedding pictures)! Each session with her is a blast and you feel as if you’ve spent an afternoon with a long-lost best friend. Her incredibly endearing and relatable personality, quickly melts away any nerves or hesitations you may have. Each session is always a blast and my husband and I are always in love with the results! She has an eye for capturing moments that are “uniquely you,” and I am so thankful for the way she captures our relationship through her pictures. I am convinced you will love the experience of her capturing your event and receiving photos that you will cherish for a lifetime!" “Maggie gave my husband and me more than what we could have ever asked for. She shot our wedding and provided us with photographs we have decorated with all over our house. Compared to majority of photographers, she is 10 times more flexible. Let's work together to create something truly one of a kind and uniquely you!